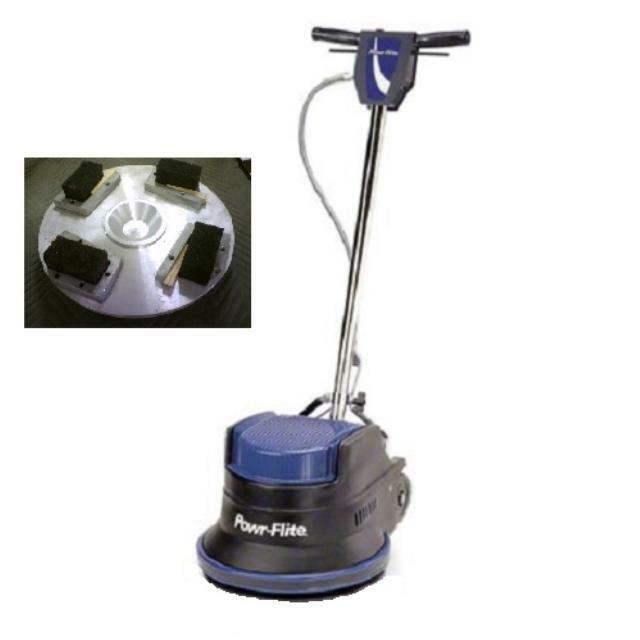 This kit includes the 17" floor machine and the grinding stone attachment. The 17" grinding stone attachment holds 4 replaceable coarse grinding stones. It can be used for light finish grinding of uneven concrete. Stones are purchased separately.